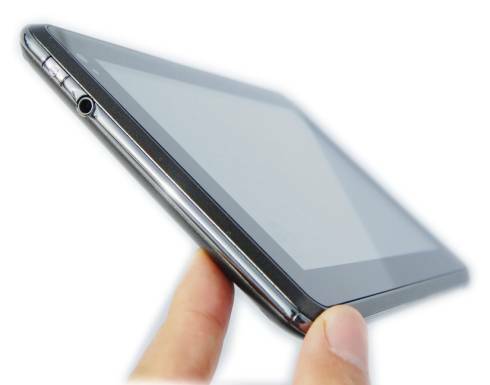 A company called Epesitec has introduced two new Android tablets. That’s not surprising. Pretty much every company on the face of the earth has an Android tablet to sell these days. What makes the new Epesitec tablets stand out is the company’s claim that it’s offering the cheapest tablet with a 1 GHz processor and a capacitive touchscreen. That might kind of be true. The Epesitec E515 tablet features a 1.2 Ghz Freescale processor with PowerVR Series5 graphics and a 7 inch capacitive touchscreen display. The WiFi-only model will sell for $189. That’s about $10 cheaper than the current prices for the Amazon Kindle Fire, Lenovo IdeaPad A1, Archos Arnova 7 G2, or pretty much any other budget tablet I’ve seen. Epesitec will also offer a 3G capable model called the E516 which will run $249. Both tablets have 4GB of storage, 512MB of RAM, WiFi, Bluetooth, and front and rear cameras — as well as a USB port and TV output. They’re both due out on November 1st. Personally, I’d probably rather pay the extra $10 to get a tablet from a more established company. The Lenovo tablet that comes with GPS and the Android Market, or the Amazon tablet which will feature tight integration with the retailer’s audio, video, ebook, and app stores. I notice they don’t talk about the display so no idea of the resolution of tech. It does have an SD slot, unlike the Amazon and probably has a more standard Android. Since it also seems to have 3G it would likely have GPS, the only question is whether a WiFi only version also would. So about all we can say at this point is it might be interesting, assuming it actually ships and is available anywhere readers here might be able to locate one. But if this one doesn’t we can expect a lot of similar ones. Since consumers won’t understand the scam Amazon is pulling, the price of a midrange tablet is now $200. Funny thing is, apparently the Samsung Galaxy S Wifi 5 that was released in Korea had those features, assuming TVout means HDMI and Analog TV means there is an antenna. They would only sell in africa ?! !